Fireplaces are a thing of beauty and comfort that evoke envy in everybody who isn’t lucky enough to have one of them in their home. While there are a lot of different mantle-designs and materials, and each of them has their own individual charm, the most versatile base material is plain old stone. Though ‘plain old’ really isn’t a fitting description for the stunning rock fireplaces we have found to serve as your inspiration. River rocks by themselves are a great, visually appealing way to incorporate nature to your home. With their softly rounded edges and multiple hues, river rocks always have that touch of gentleness that stone is sometimes lacking. The beautiful spiral design of this fireplace makes perfect use of the round rocks and enhances the overall effect of soft edges and evokes visions of gently flowing rivers. While certainly a modern construction, this fireplace with its irregularly shaped stacked rectangular stone “bricks” very much reminds the viewer of the way ancient buildings and cities were built before the uniform modern brick took hold of our world. In combination with the striking pillar of wood used as mantlepiece and set as focal point on otherwise very plain walls, this rock fireplace is the visual centrepiece of the room, if not the whole house. 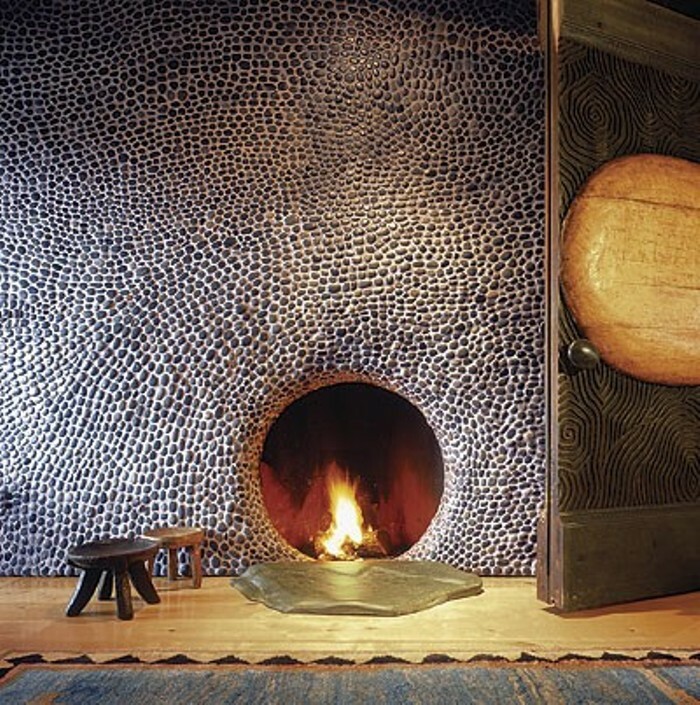 This very unique fireplace is both a stunning visual and a calming, zen place that just begs you to kick back and let go of the day’s worries. The round firebox by itself is a sight to be seen, and instantly reminds of the comfortable, homely Hobbit holes fantasy author-legend J.R.R. Tolkien brought to life in his books. This feeling of cozy relaxation is further enhanced by the myriads of river rocks set in the surrounding wall. This type of smooth, small rocks are also known as “wishing stone” or “worry stone”, and is said to aid in making wishes come true and/or worries to disappear when pressed or rubbed. 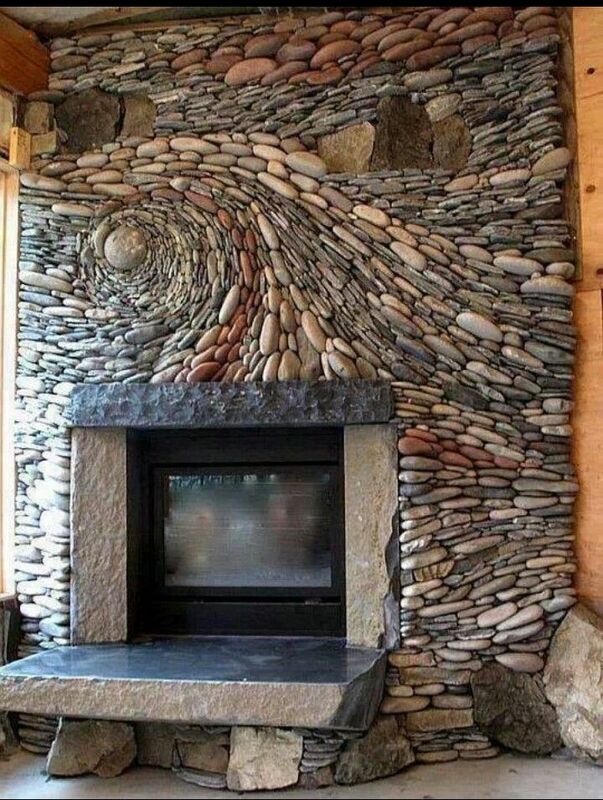 And somehow, looking at this stunning rock fireplace, we’re sure that these mystical traits are present in this wall as well, and help to make the design appear so relaxing and zen. 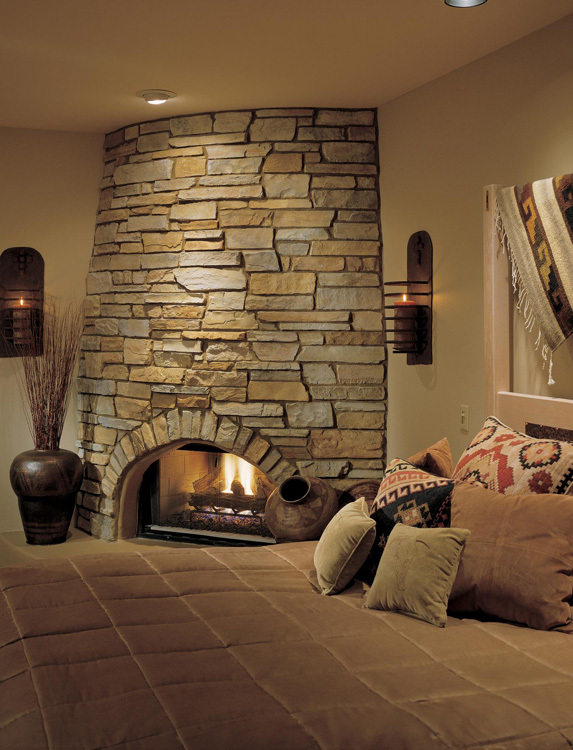 Usually, when thinking about a fireplace, we envision it incorporated into one of the room’s walls. 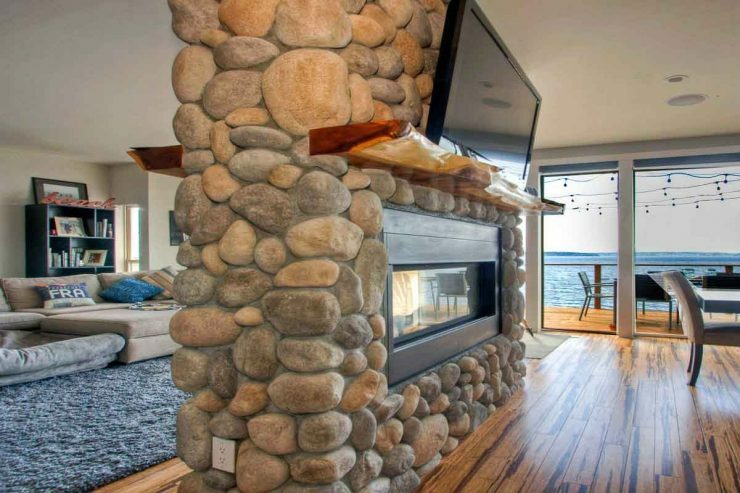 This stunning fireplace is built of large river rocks and beautifully doubles as a stylish room divider in the spacious living-slash-dining room. 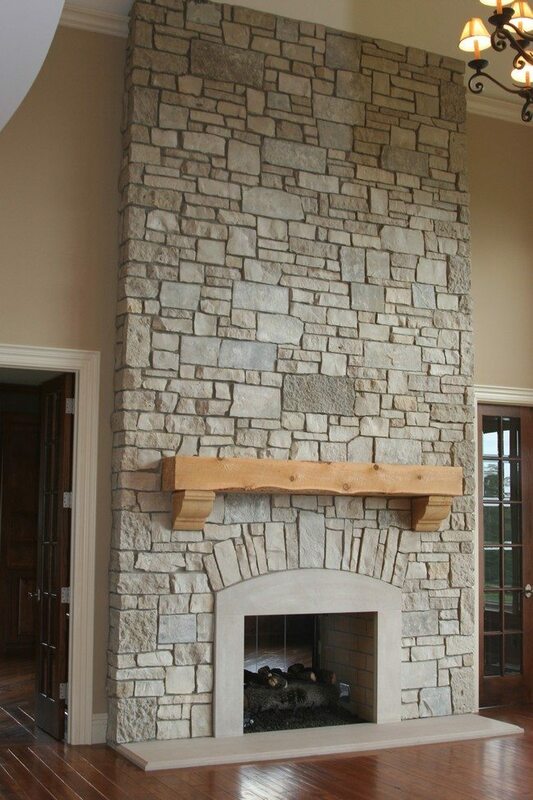 Typically we like a truly natural look when it comes to stone fireplaces. There are, however, exceptions to every rule, and this beautiful fireplace is one of them. 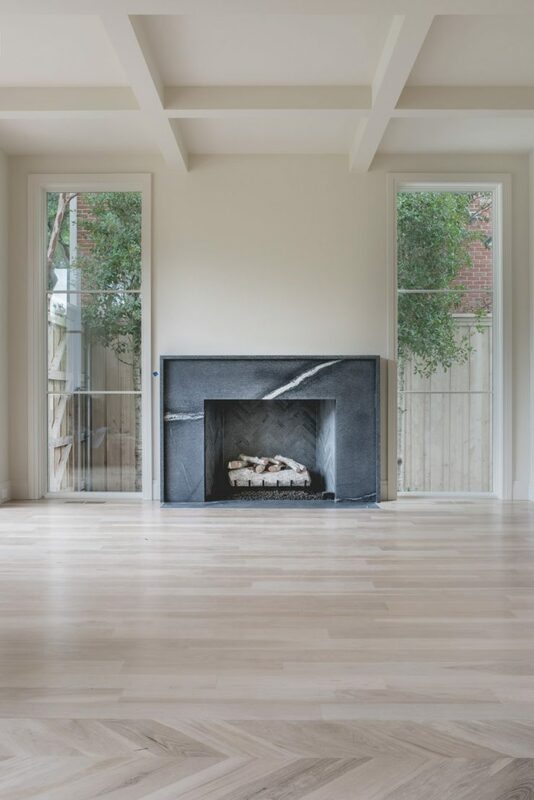 In his case, the slabs of rock of the original fireplace have been painted with a matte black coat, giving it a sophisticated, elegant look that still manages to look rather natural. 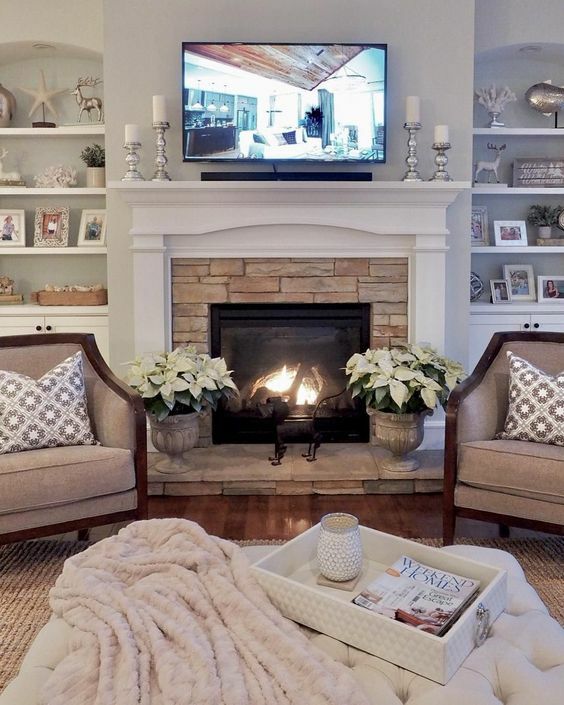 For those of you preferring a more traditional style of fireplace, but don’T want to miss out on some stone details, adding a stone boarder to an already existing fireplace might just be the perfect idea. This look combines the classic elegance of a traditional fireplace with the rough beauty of a natural material and creates a wonderful conglomerate of styles that just look stunningly beautiful in its simplicity. 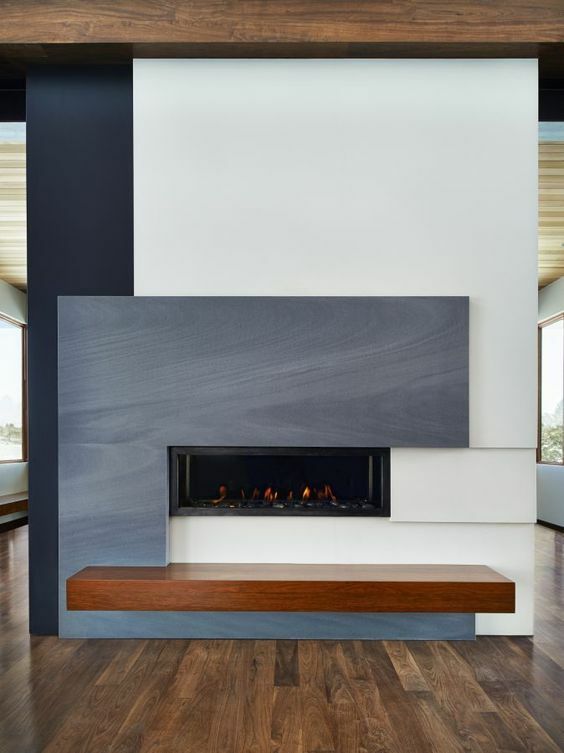 This beautiful fireplace is made of roughly-hewn weathered granite slabs and is just about as perfectly natural as an indoor-fireplace can be. Since this type of fireplace is inherently dominant, this design works best in airy spaces and an otherwise restrained living-room concept. Making use of even the most difficult spaces is a sign for truly talented interior designers – be they professional or laymen. 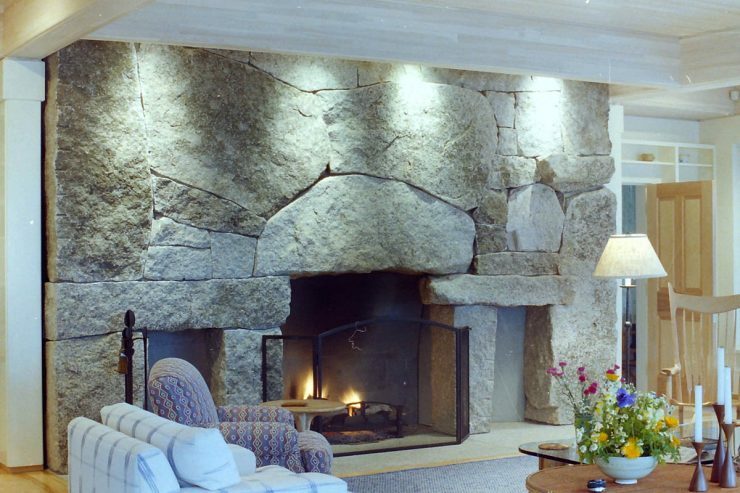 This lovely corner fireplace made out of stacked cliff-stone is a beautiful example for this talent. Setting the fireplace up in this rather unusual place at the same time creates a unique look and helps to incorporate the fireplace unobtrusively into rooms of any size without relinquishing the always-sacred shelf-space of a library or living-room. Sometimes less is indeed more. 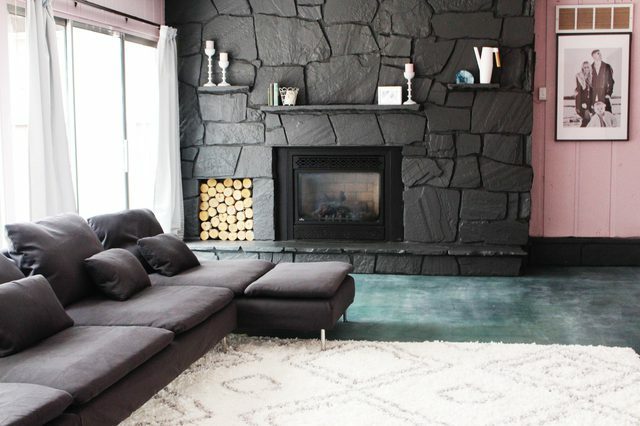 This beautiful soapstone fireplace draws the eye with its dramatic light vein despite its incredibly no-frills design. Fitted in between two floor-to-ceiling windows this fireplace gives the room a visual centre and adds warmth to the view once rain or snow dominate the world outdoors. This neolith mantle is the ultimate proof that stone fireplaces can be incredibly modern and up-to-date. With its pure geometric design and the subtly marbled grey colour this fireplace design fits neatly into any home-style and easily merges the homely comfort of an open fireplace with an ultra-modern chic that won’t look outdated any time soon.